After Nigerians raised the sum of 80 million naira,Mayowa Ahmed who was flown to South Africa for Ovarian cancer treatment on August 10 died 11 days later. Her death was announced by a family member, Asiwaju Foye, in a series of tweets. 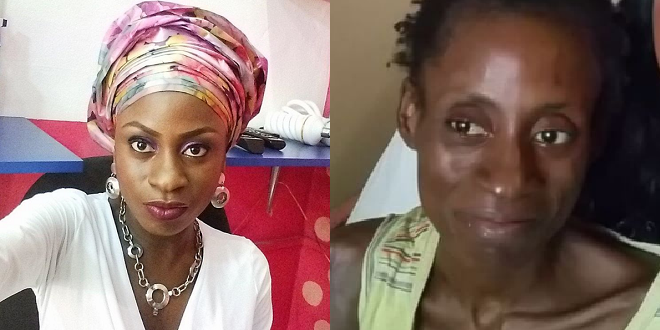 But for most Nigerians, the mourning days appear to have ended and they are now asking what becomes of the millions raised from the #SaveMayowa campaign. The Police Public Relations Officer, Ms. Dolapo Badmus, who spoke with one of our correspondents, said that the police would brief the media on the matter at the appropriate time on what would be done with the remaining sum realised from the campaign. Some leaders of non-governmental organisations involved with women causes and health care also shared their thoughts with The Nation on what can be done with the fund. The Executive Director, Centre for Children’s Health Education, Orientation and Protection (CEE-HOPE), Mrs. Betty Abah believes that Mayowa’s family, after they must have mourned her sufficiently, should make a public statement on what they intend to do with the fund. Abah said: “As the saying goes, the deed has been done and we cannot question God. It is time to take the next step and that should be fully characterised by transparency in the light of the recent controversy. My thoughts would be that they can donate to a charity organisation having to do with cancer. In the opinion of Dr Femi Olaleye, the founder and medical director of Optimal Cancer Care Foundation, a foremost NGO that offers health services in cancer related ailments for women, the funds generated should be donated to a cancer foundation so that more women can be saved. Olaleye said: “There are lots of women to help in cryotherapy, breast cancer surgery and other women related cancer ailments. My foundation offers free breast and cervical screening for women every Friday. Efforts to speak with Toyin Aimakhu on the latest development were futile. It will be recalled that in the wake of the controversy surrounding the funds after the alarm she raised on her suspicions of Mayowa’s family’s motives, Aimakhu took to her tweeter handle to explain her involvement in the fund raiser. With the death of Mayowa, it is obvious that the last has not been heard of the controversial #GoFundMe campaign funds.